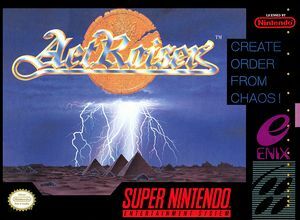 In ActRaiser long ago, you and your people built a peaceful land. Since then, your world has been taken over and inhabited by the evil Tanzra and his Guardians. Your once-tranquil land has become a breeding ground for monsters, Injured, you have retreated to your Sky Palace and have fallen into a deep sleep. Now, many years have passed and you have recovered from your injuries and slumber. You must punish Tanzra and restore the world to your people or lose their faith forever. The graph below charts the compatibility with ActRaiser since Dolphin's 2.0 release, listing revisions only where a compatibility change occurred. This page was last edited on 31 December 2017, at 18:01.